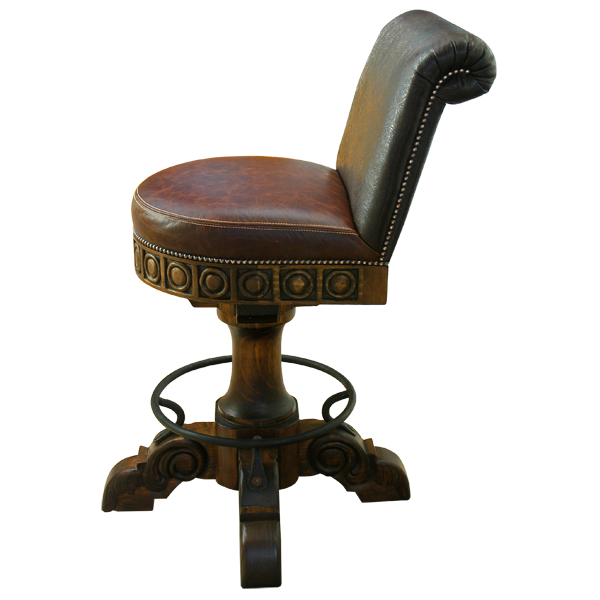 With its intricate, ornate hand carvings and antique finished full grain leather, this handcrafted bar stool is reminiscent of beautiful hacienda furniture of colonial Old Mexico. 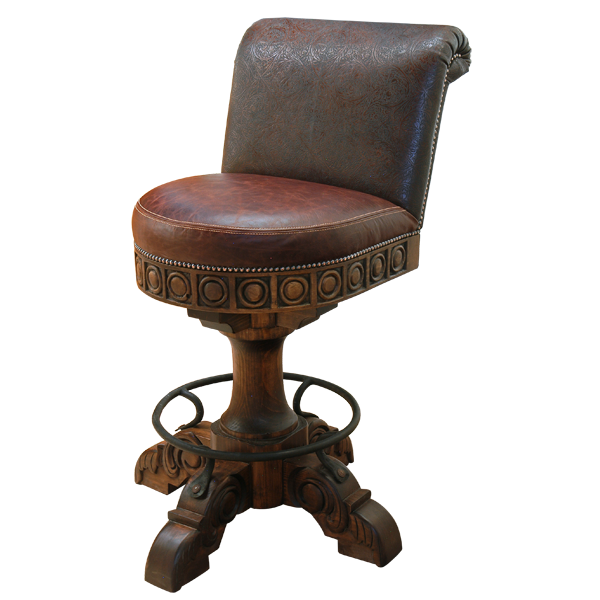 The seat of this custom bar stool is upholstered in brilliant, earthen colored full grain leather, and both sides of the seat back are upholstered in rich, antique finished full grain leather. All upholstery is precision hand tacked to the base by our skilled craftsmen. 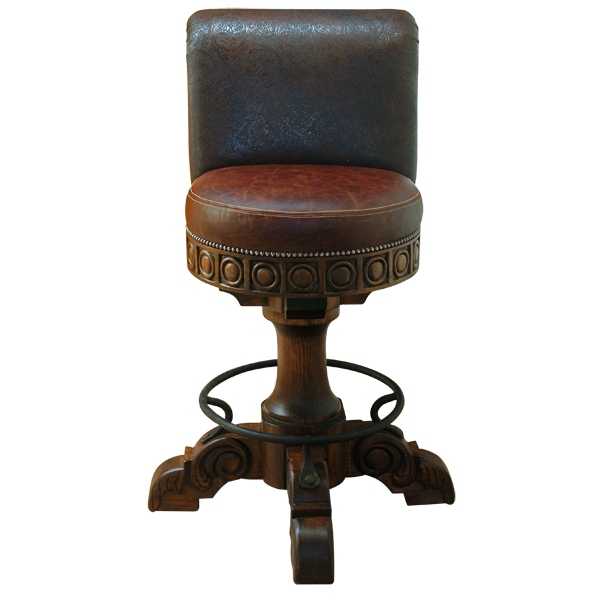 The base of the bar stool is also ornately hand carved with intricate designs. 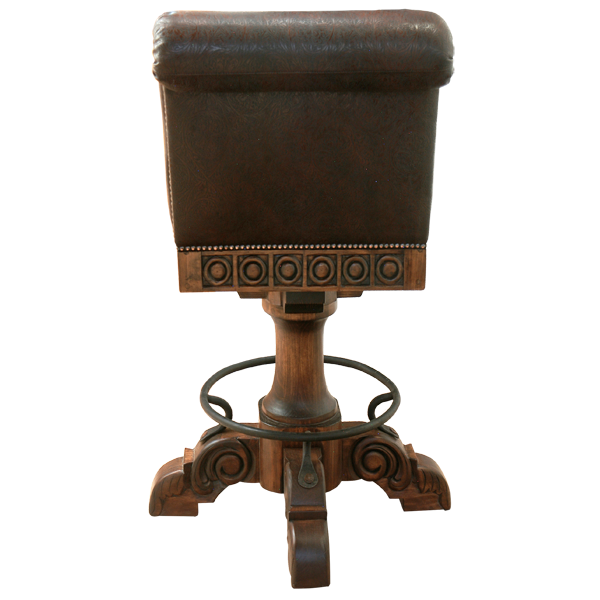 The bar stool rest on a hand turned wood trumpet pedestal, supported by four hand carved feet, and joined by a hand forged iron foot rest. Both beautiful and durable, the bar stool is made with the best wood available. It swivels 360° and is 100% customizable.